The Joules Caldecott Padded Jacket is one of our warmest coats to ensure you're warm and toasty on even the bitterest of days. 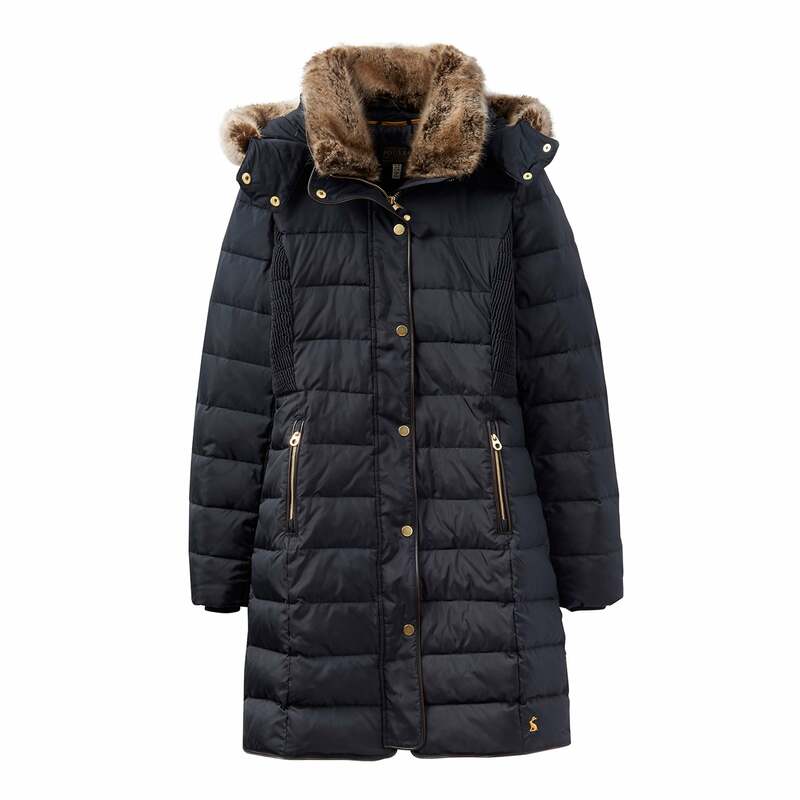 The high collar is lined with faux fur, as is the hood, both are detachable to help you create different looks to take you through the season. Padded with feather and down and finished with brass poppers for an extra-special finish.